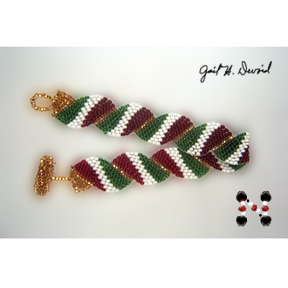 This bracelet is a wavy flag bracelet for Italy, and even if you are not Italian, it makes a great design. Instructions include graphs (2) and a word map. Knowledge of odd-count peyote is helpful, but one method is included in the instructions for beginners. Instructions also include how to make a beaded toggle and loop closure if the optional clasp is not used. Approx Finished Size: Materials list included is for a 7.5 inch bracelet. However, you can lengthen or shorten the bracelet by using more or fewer repeats of the pattern, or by following pattern instructions for an alternate method. The bracelet size can also be adjusted by adding an optional clasp. 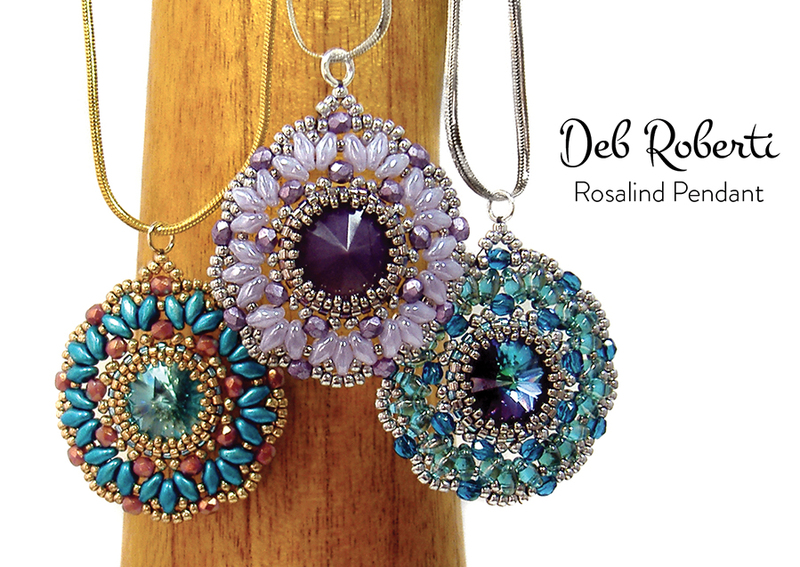 More products from Gail H. Devoid.